The Hello Holiday magazine is here! 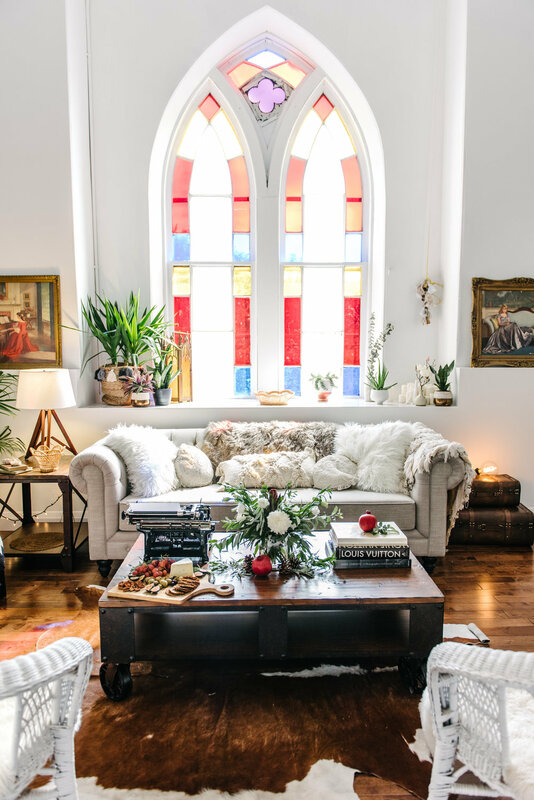 This season I was lucky to team up with Leon's Furniture and their lovely team Autumn, Paige and Scarlett to do a make over of our living room in our church for the Holiday issue. And my icing on the cake-I got to set my tree up in August which brought my family to a very happy place. Christmas came early! Hello Holiday is available online HERE and you can also find it bundled up with Food and Drink this season at every LCBO. Icing cakes is definitely not my strength. In fact, I'm terrible at it. One day I'm sure I'll dream up a project and I'll need to muster the courage to learn this art, but in the meantime here's me beating the system with some tricks I know! Cover it with macarons and flowers! I put the macarons on first and spaced them evenly apart. Then added some flowers and some candy coated nuts in-between the macarons. Think colour and texture here! If you're using edible flowers from a speciality grocer, amazing! If not be sure to remind your guest that these are just decorations. I really do love this time of year. Yes, I'm the person already humming Christmas carols and will be until the new year. Then the winter sucker punches me in the face and I shiver until spring, which at the time seems to be an eternity! But hey! Its a small, no actually medium price to pay for how awesome Canada is to live in! So until I decide to be a snowbird, I'm always on the hunt for ways to stay cozy and warm. Baths! Yep! Its the only thing really that will take that great Canadian chill away in the heart of the winter. Since Christmas is literally everywhere already, I thought I'd do my best at making some gifts this year and sharing that holiday warmth. Anyway! I found these test tubes at Michael's (our local super craft store) which is always a good time btw. 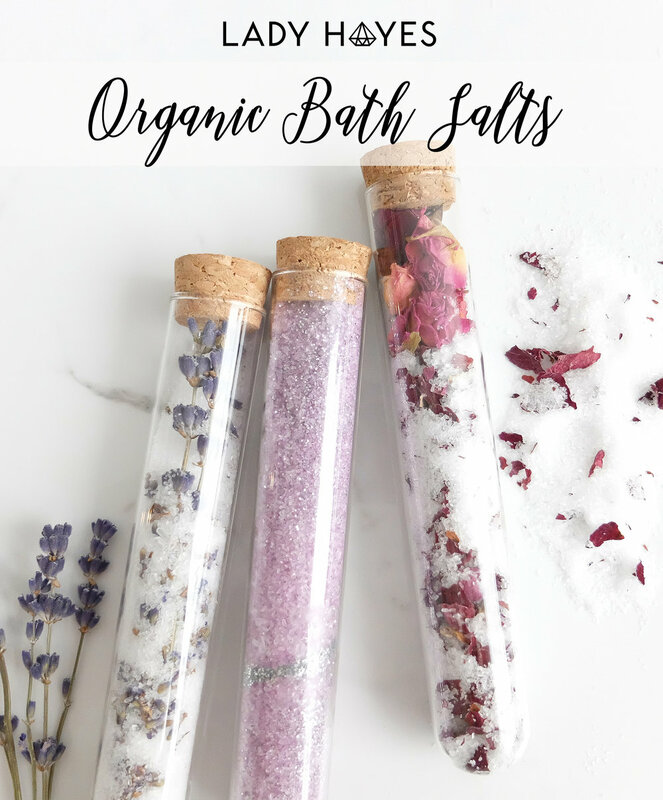 I picked up some epsom salts and then made a few different mixes with things I love and had around the house. A few ideas to try! || Lavender is always a good idea. You can put a few drops of essential oil in as well, and then I put a couple full stems in because that just looks pretty! || Dried rose petals with some drops of Bergamont and Rosewood essential oil. 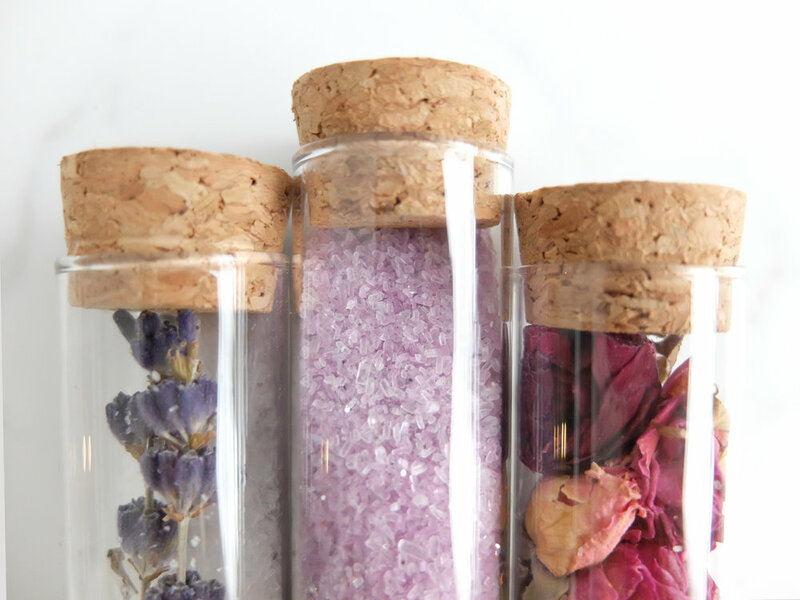 Try adding some dried full roses near the top of the tube! || Eucalyptus and Rosemary. A few drops of Eucalyptus oil and some full sprigs of rosemary. Hello sooth me! || Food colouring and sparkles! This one is for my girls. I put a few drops of food colouring into the epsom salts and mix it altogether. Then add a few generous shake of sparkles. This one is always a hit. 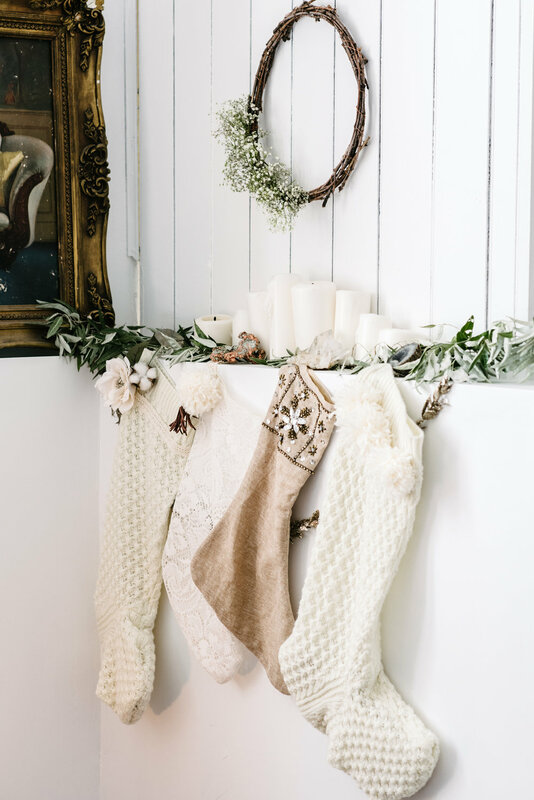 Try tying them together with some twine or leather and voila! That's a pretty lovely gift wouldn't you say? Also, pretty cool as a wedding or shower favour! And just like that, fall is here. As the leaves change to rich tones of amber, rusty golds and deep reds, and the breeze gets cooler by the day, I can't help but think 'OMGAWD WINTER IS COMING!" Since I'm not quite ready to say hello to this colour palette or farewell to summer, I decided to celebrate Autumn with just that in mind. Its still all sunshine and flowers here my friends. 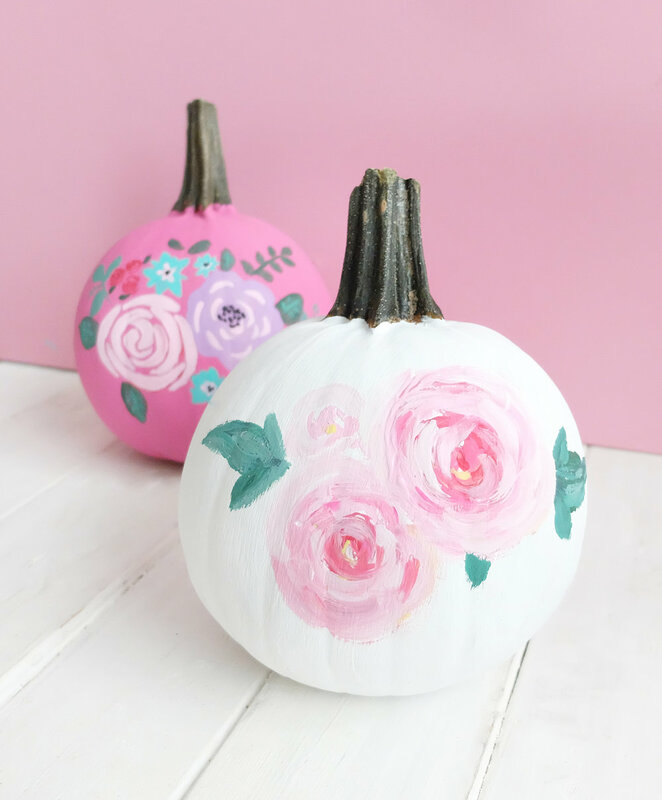 To paint these lovely little floral pumpkins, I picked up some craft paint from the dollar store. Its really easy to work with, washes out of most things and you can't beat the price. One of the most important things about painting is your colour palette. I always line up my paints and see how they look together and then stick within my selection. I painted a solid colour coat on both pumpkins and then I practiced a few different flower styles on some paper before committing to my actual pumpkin. For this project in particular I do like that the flowers don't look perfect. Its gives it a warm arts and craft vibe. See a visual step by step of how I painted a pumpkin below! I definitely have a soft spot for bath time. Its such a great way to wind down my babes for bed, and if I can sneak in a bath alone?!!! Oh my gawd, talk about heaven. I always like having some sort of bath time treat on hand though cause you never know when your family might say "Hey Mama, take 20 and here's a hot bath!" Hint hint. These bath bombs are soooo pretty and soooo simple to make. Also, what a lovely gift idea right?! 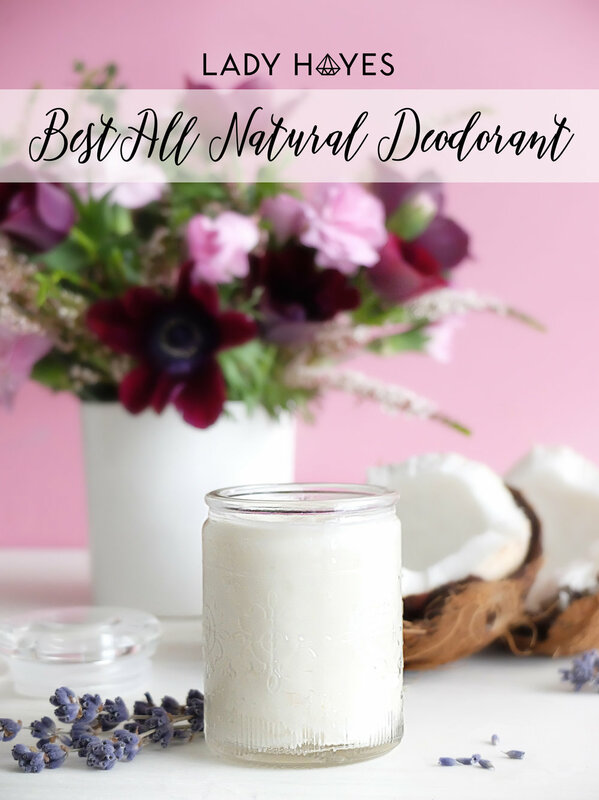 Most of these ingredients can be found in your homes maybe with the exception of citric acid. I found some at the Bulk Barn here in Toronto but most bulk and health food stores should have it. The citric acid is what will make it fizz, and the coconut oil will leave your skin feeling divine. So pour yourself a glass of wine, put on some Father John Misty and and toss one of these Floral Bath Bombs into a warm bath. Take some deep breaths and some time for you. Hello my lovelies! Today we're talking about Edible Flowers. Honestly, I can't believe I haven't adding flowers to my diet sooner. 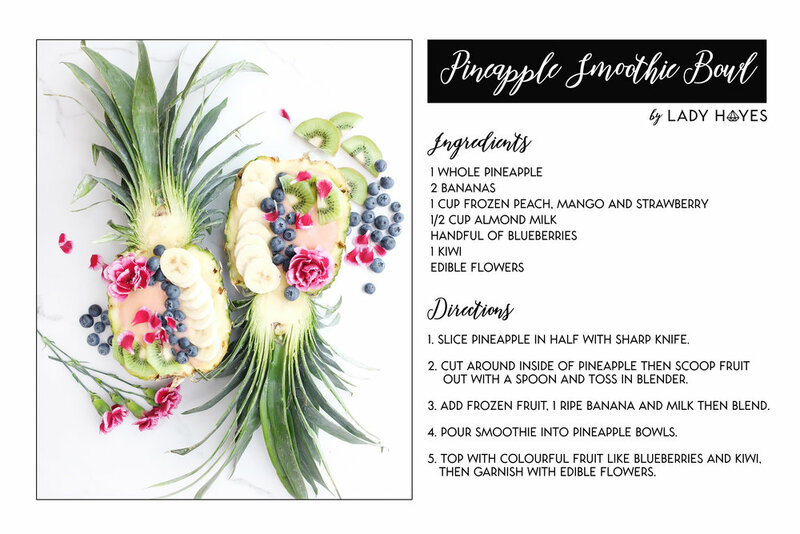 Not only do they have a very unique taste, but the colour factor alone will make any dish look like a million bucks! From salads to cupcakes-the options are truly limitless! A few things to be weary of before tossing our colourful friends into your mouth. Store bought flowers are often sprayed. And you definitely don't want to ingest those nasty chemicals. Naturally garden grown flowers are probably your best bet. If you're a city dweller like myself try Whole Foods or any Fine Foods boutique. They usually have a lovely little tub of unsprayed edible flowers by the herbs. Secondly, some flowers are poisonous. Just a disclaimer, please do your research before you go and eat the bouquet of flowers your mate bought you. Guilty! Only eat the petals. If you're feeling nervous about trying the flowers, just add them for colour and pick them out before eating. Here's a beautiful little list of flowers I love to add to my dishes! Try adding mint to the flowers for the leaves. Pop some pretty petals into your ice cube tray. Sprinkle petals over a summer salad. Use on top of desserts like sugar cookies, cakes and cupcakes. 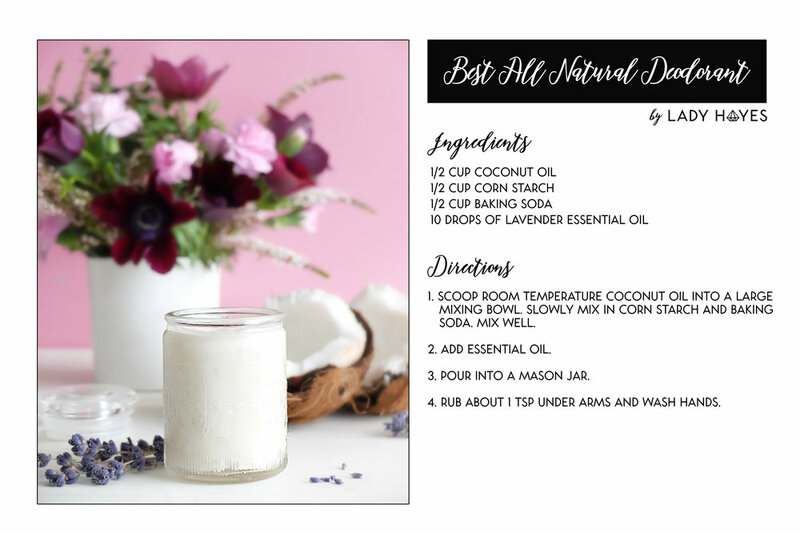 Make a lovely Lavender cocktail! 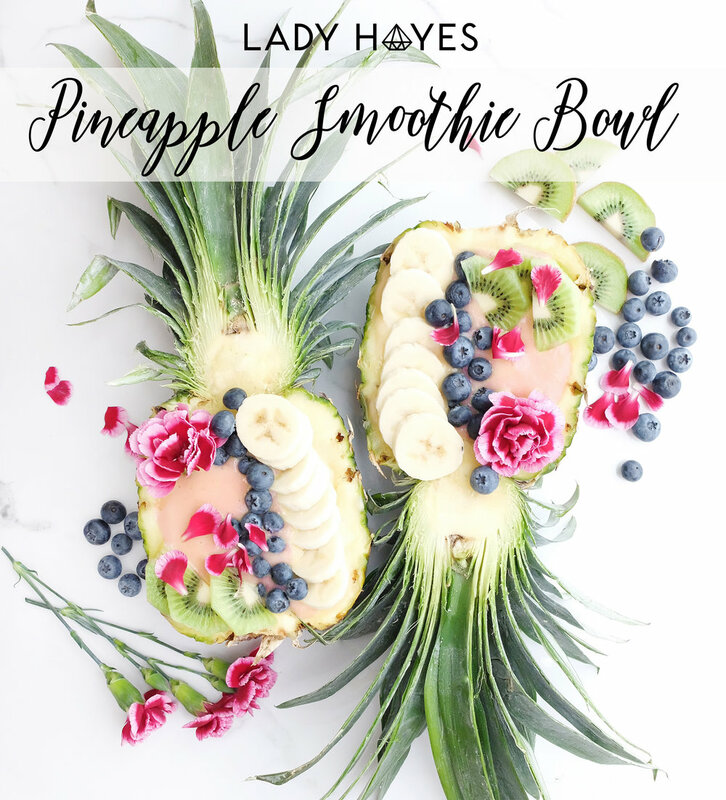 Thanks for popping by and don't forget to hashtag #ladyhayesdiy to share your creations! DISCLAIMER! 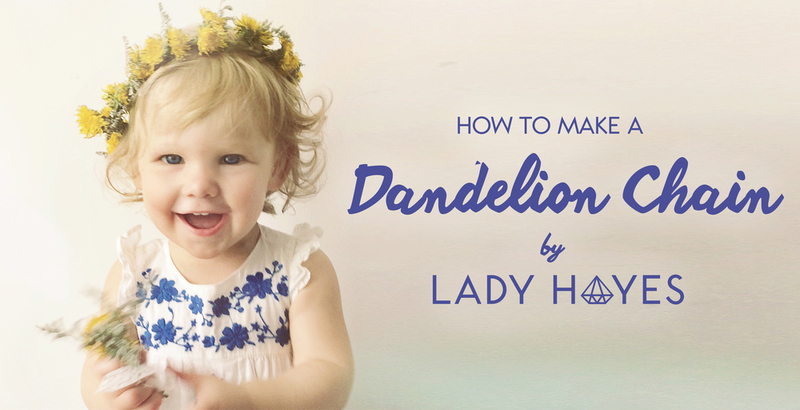 Lady Hayes has researched all the edible flowers listed above. However, individuals consuming the flowers, plants, or derivatives listed here do so entirely at their own risk. Lady Hayes always recommends following good hygiene practices. Lady Hayes cannot be held responsible for any adverse reaction to the flowers. In case of doubt please consult your doctor.